I’ve made a new extra version of Exton|OS based on Ubuntu 16.10 (alias Yakkety Yak) 64 bit with only a minimum of packages pre-installed. 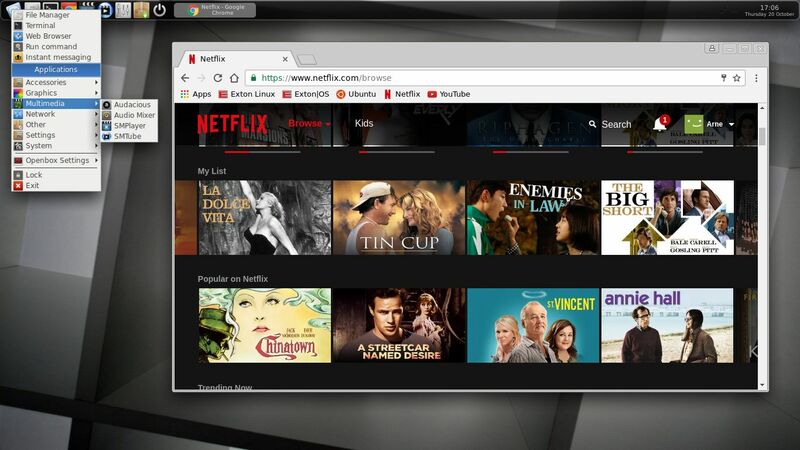 Among them a terminal emulator (LXTerminal), a Web Browser (Google Chrome – so you can run Netflix), SMPlayer, SMTube (YouTube browser which allows to browse, search and play YouTube videos), PCManFM (file manager), NetworkManager, GParted (Partition Editor), Samba (so you can reach your Windows computers), Audacious (a small and fast audio player which supports lots of formats) and Synaptic (Package Manager). I give you the pleasure of installing all extra packages you need after a hard disk installation of Exton|OS Light. Use Synaptic for that. You can of course also install new packages while running the system live (from DVD/USB stick), but nothing will be saved after a reboot. Unless you have followed my USB Install Instruction (under B) or used UNetbootin) and used Boot alternative 2 – Persistent when you have used UNetbootin. If you have plenty of RAM you can even install big programs (such as LibreOffice) while running the system live even from DVD. 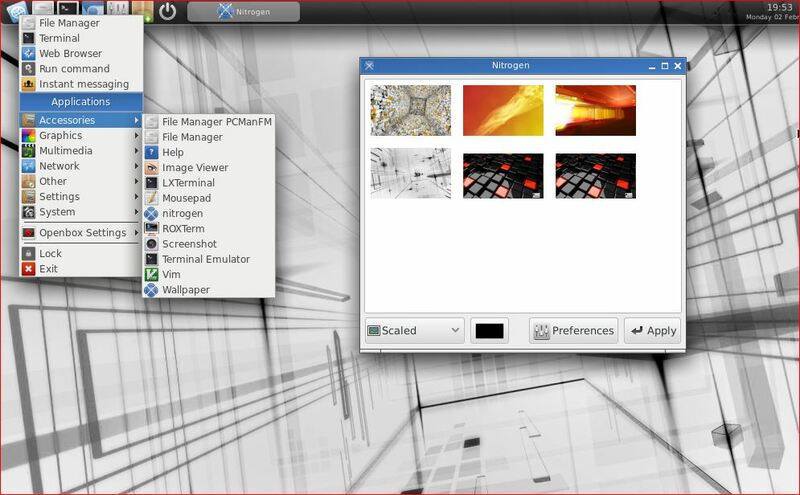 Exton|OS Light’s Window manager Openbox guarantees lightness and elegance. This version of Exton|OS Light from 161021 replaces version 160728 of Exton|OS Light. 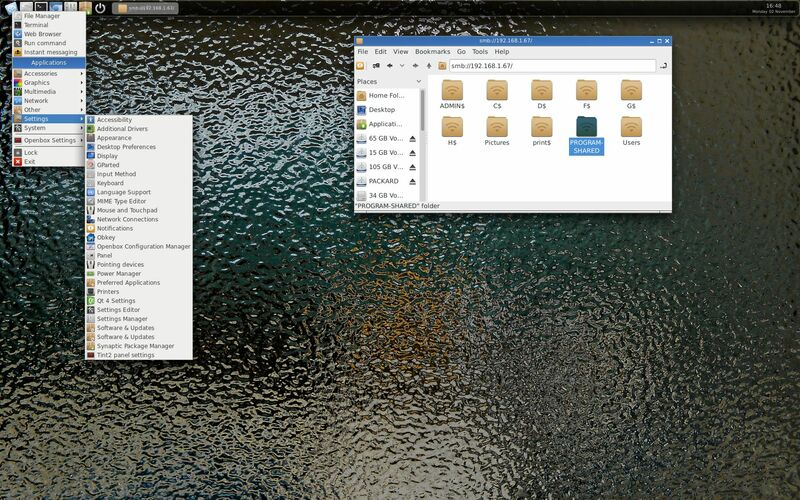 Exton|OS Light is now based on Debian Stretch/Sid and Ubuntu 16.10 (released 161013). 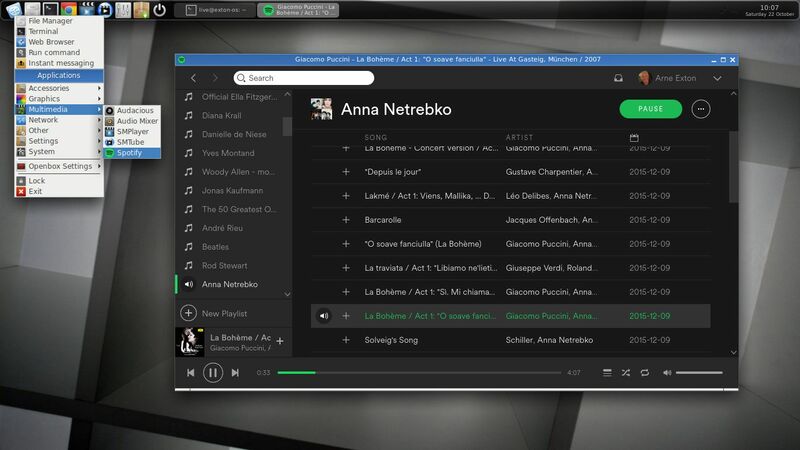 Exton|OS Light Live CD is based on Ubuntu 16.10 Yakkety Yak 64 bit and Debian Stretch/Sid. Exton|OS Light’s ISO file (of 970 MB!) is a ISO-hybrid, which means that it can very easily be transferred (copied) to an USB pen drive. You can then even run Exton|OS from the USB stick and save all your system changes on the stick. I.e. you will enjoy persistence! Read my USB INSTRUCTION under B). All installed packages in Exton|OS Light have been updated to the latest available version as at October 21, 2016. Study the full package list. My special kernel 4.8.0-25-exton, equivalent to Kernel.org’s kernel 4.8.1. You can download “my” kernel if you want to use it in another Ubuntu/Debian system. When the system has booted up you will end up in X (Openbox) as the ordinary user live. You can log out from Openbox and back again as root (“Other”) if you want. The password for root is root. When logged in as live you can become root with sudo su. There is no password for live when running the system live. (I.e. from CD or USB). 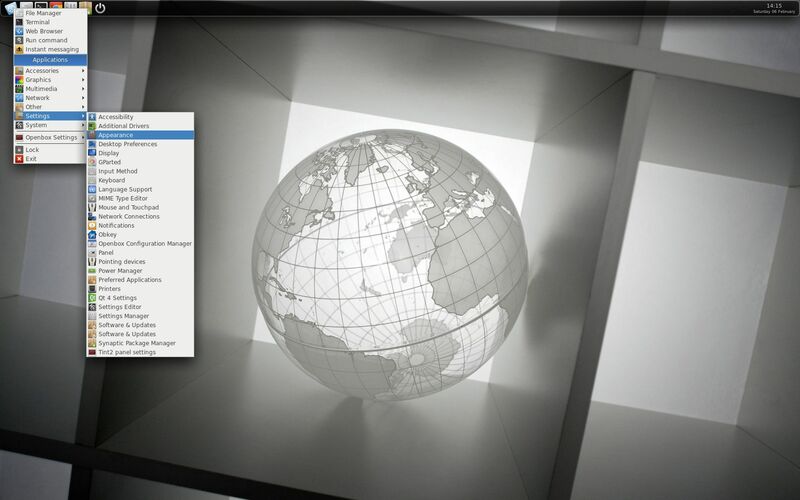 Exton|OS Light and Openbox uses Nitrogen Wallpaper Manager to change desktop background. Open Nitrogen and you will see all wallpapers in /usr/share/backgrounds. Choose the one you want. 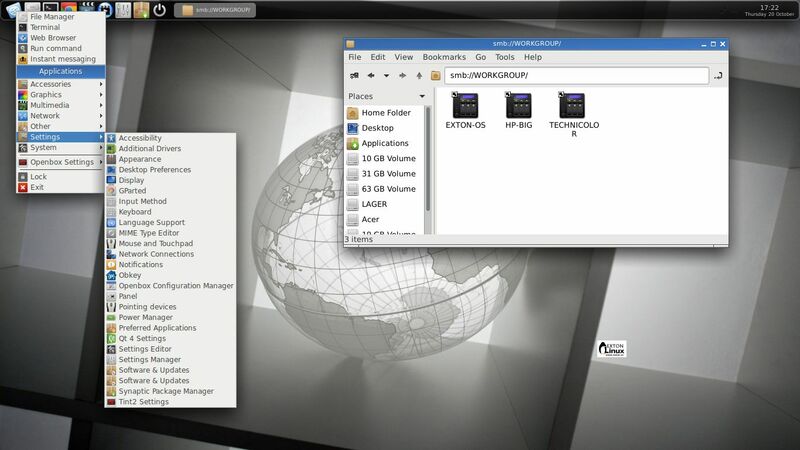 Exton|OS Light is totally compatible with Ubuntu 16.10 and therefore uses Ubuntu’s repositories. After a hard drive install of Exton|OS you can go ahead an install any extra software you like and also upgrade the whole system. After running the command apt-get update you should use Synaptic Package Manager. Read my INSTRUCTION. For persistence please read under B) or use UNetbootin. 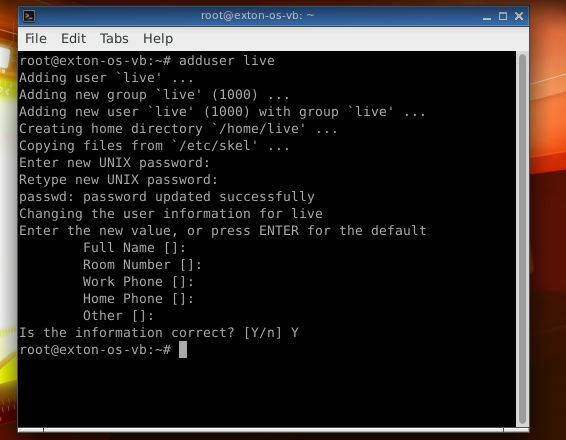 I have replaced Ubuntu’s installation program Ubiquity with Exton|OS Installer, which is a clone of Debian Live Installer. The installation to hard drive is now so simple that a 10 year old child can do it. Watch a SLIDESHOW of the hard drive installation process.Just start the installation program (Exton|OS Installer) from the menu under System and follow the instructions. Note1: When asked create a new normal user. Unfortunately this new user won’t exist when the installation is ready. You’ll have to log in to Openbox as root with the password you gave your created user. Then open up a terminal and run this command: adduser live. (I.e. if you want to run Exton|OS Light as a normal user). Note2: Be sure to name your own created user live (username). If you give your ordinary user any other name the menu in Openbox after a hard drive installation won’t work. It is sort of a “bug”. Sorry about that. Note3: The password you create for your user during the hard drive installation will be root’s new password. Another great thing is that Exton|OS Light can run from RAM. Use Boot alternative 3 (Copy to RAM). When the system has booted up you can remove the disc (DVD) or USB stick. You’ll need at least 2 GB RAM to run Exton|OS Light that way. Since the system is relatively small (ISO file of 970 MB) Exton|OS Light will run really fast from RAM. Super fast I would say!